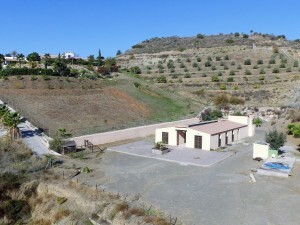 Beautiful villa with 3 bedrooms and 2 bathrooms, for sale in Almanzora, in the province of Almeria. The villa has an open living room with kitchen (not equipped), three bedrooms and two bathrooms, of which one en suite bathroom, and both bathrooms have a bathtub. The garden is completely tiled and there is a large roof terrace. There is also space to park two cars inside the plot. From the porch you can enjoy the beautiful views of the town and the surroundings. There is a good access road and it is in the middle of the village, which is very quiet with beautiful views of the surroundings. A new playground is being built near the house. Almanzora is a small town with all amenities, such as a pharmacy, cafeterias, school, supermarket, communal pool, etc. 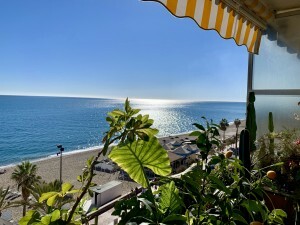 The big city of Albox is just 4 km away, and about 30 minutes you can find the Almeria coast, with its wonderful beaches, such as: Vera, Garrucha and Mojacar, and only 1 hour by car is the airport of Almeria. 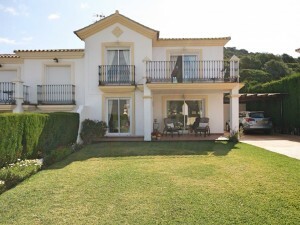 To arrange a view of this fabulous villa, contact us now!